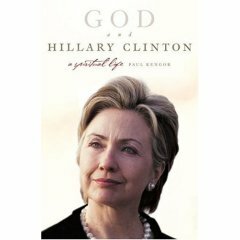 UPDATE: 9/26/07 – Paul Kengor goes deeper into Mrs. Clinton’s relationship with one-time spiritual adviser Jean Houston, as well as her views on abortion and homosexuality in an interview today on the blog. – How Mrs. Clinton’s faith ebbed during her college years and during her involvement in radical politics in the 1960s and 1970s, before she and Bill decided to “get back to church” in the early 1980s, and how their choice of churches raised suspicions in Arkansas over political motivations. God and Hillary Rodham Clinton includes new information on Bill’s choice of the one of 60 Baptist churches in Little Rock that televised Sunday services. Bill found a seat in the choir, directly behind the minister and in full camera range for the voters of Arkansas. – How Bill Clinton’s pro-life pastor in Arkansas helped him come to a pro-choice position on abortion, and how the abortion issue has haunted both of Clintons as pro-choice Christians, and caused a permanent separation between them and pro-life Christians. There is no issue closer to Mrs. Clinton’s heart than abortion rights—to which she holds a nearly religious devotion—so much so that it has become a kind of political theology to the senator, equipped with its own set of apologetics. – On the abortion issue, Kengor has provided unprecedented information on Mrs. Clinton and the root causes of her position. Interviewed several times for this book is Mrs. Clinton’s close friend and one-time OB-GYN, William F. Harrison, the nationally known Fayetteville, Arkansas abortion doctor. Harrison was very candid, and provided telling insights into Hillary’s sudden deep devotion to the cause of abortion rights by the time of Roe v. Wade, a marked moment on her political-religious path from Park Ridge Methodist to the White House. – How the First Lady did indeed participate in strange moments of imaginary conversation with a deceased Eleanor Roosevelt from the solarium atop the White House. The woman who arranged these sessions and became very close to Hillary—Jean Houston—compared Hillary to Joan of Arc. Houston was widely known for her work delving into altered consciousness, the spirit world, and psychic experiences, and who in the 1960s had reportedly conducted experiments with LSD. According to one source, Houston seemed to believe that the embattled First Lady was going through a kind of female crucifixion, and that she was arguably the most pivotal woman in all of human history. – How Senator Clinton’s faith is responsible for her position that marriage should be restricted to a man and a woman. Looks like a good read heading into the political season. Addendum: Click the link for additional posts and information regarding abortion and mental health. Addendum 2: The Washington Post columnist, Michael Gerson, covers this issue this morning.